With the holiday weekend upon us, it’s important to remember that cargo thieves aren’t taking the day off. As these cargo thieves continually adapt to the evolving logistical security landscape, new threats will take shape in the form of new theft methods and new targeted products. High value alone will not be the determining factor in theft risk to cargo as thieves will adjust to the increased risk and modify their efforts accordingly. Below are some helpful resources to aid you in protecting your business from holiday cargo theft by reducing opportunities for loss or damage. Below are some helpful resources to aid you in protecting your business by reducing opportunities for loss or damage. 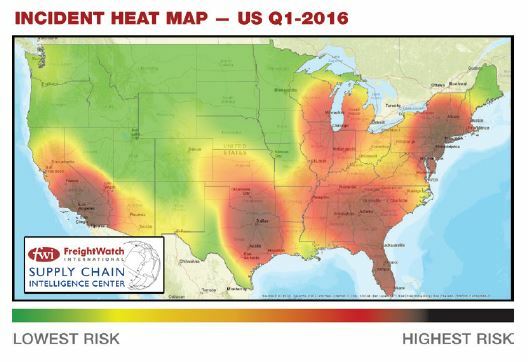 » Freightwatch International Supply Chain Intelligence Center’s U.S. 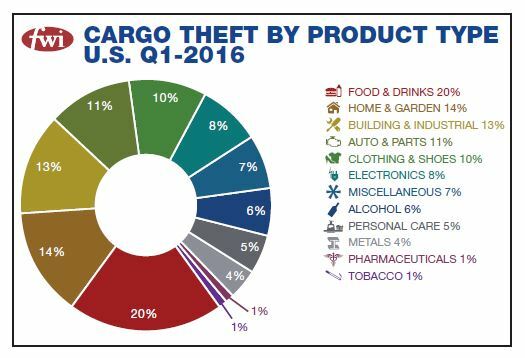 Cargo Theft Report offers eye-opening intelligence on cargo theft for the first quarter of 2016 including informative maps and graphs indicating theft hot spots, a breakdowns of cargo theft by product type, and more. » Our friends at the Southeastern Transportation Security Council (SETSC) have provided a very useful printable checklist to help you secure your facilities and supply chain.